Oral histories, writer, arts advocate. 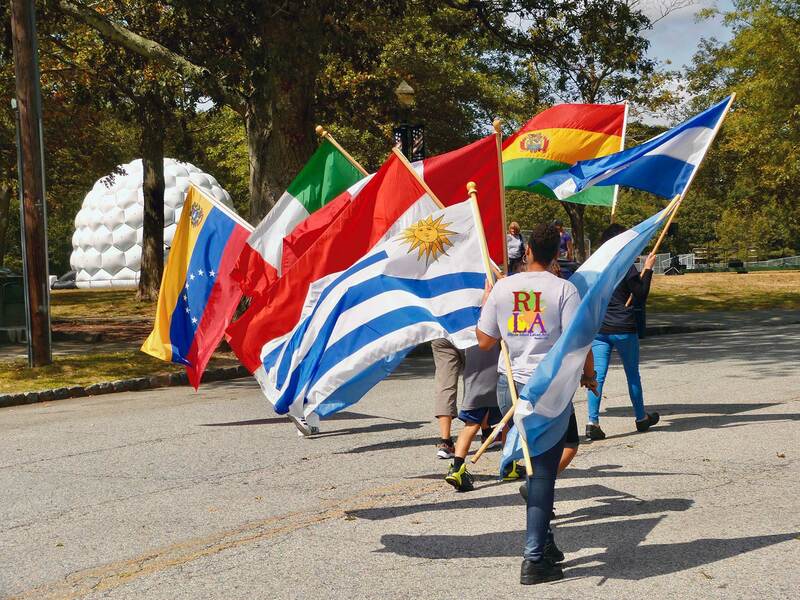 Marta lectures about Rhode Island Latino History and Cultures. Her specialty is working with young people, teaching them best practices of oral history and how to become “Junior Docents and Historians” in their communities. She offers community walking tours of Broad Street, Providence and Dexter Street, Central Falls. Martínez has taught elementary and middle school and has lectured at local libraries, schools and museums. She is the developer and creator of Coming To America: Fefa's Market exhibit at the Providence Children’s Museum. In 2015, Marta published a book entitled Rhode Island Latino History - Nuestras Raíces and is available for book talks or lectures on Latino history of Rhode Island. Her book is available for purchase at La Galería del Pueblo.